On Thursday, celebrate Diwali at Cardamom Hill and have some of the best Southern Indian cuisine in town. Start the day with a Dahl omelet you make at home. 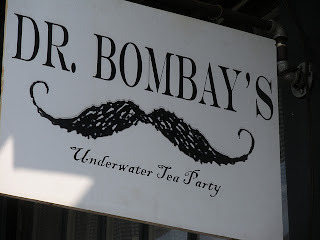 Then, go to Dr. Bombay's Underwater Tea Party and catch up on your reading. Lunch at Planet Bombay. Finish off the day with Cardamom Hill. Happy Diwali everybody! Celebrate Diwali at Cardamom Hill, where Asha Gomez whips up authentic and inventive Southern Indian cuisine on the daily. "The festival starts with Dhanteras on which most Indian business communities begin their financial year. The second day of the festival is called the Naraka Chaturdasi. Amavasya, the third day of Diwali, marks the worship of Lakshmi, the goddess of wealth. The fourth day of Diwali is known as Kartika Shudda Padyami. The fifth day is referred to as Yama Dvitiya (also called Bhai Dooj), and on this day sisters invite their brothers to their homes." In a style only "The Office" could give us, check out Michael Scott's tribute! "Asha Gomez was born in Kerala, the southwestern-most state of India that resides on what was formerly known as the Malabar Coast. The area’s unique and multilayered culture, a result of its vital position on the ancient spice routes between Europe and Asia, provides much of the inspiration for Asha’s enterprises. The centuries of vibrant trade brought Portuguese, English, Dutch, and Chinese influences, and Christian, Jewish, Muslim, and Buddhist religions alongside the indigenous Hindu communities. Asha grew up in a shared household where her mother and three sisters spent much of their day in the kitchen, preparing the regional dishes that arose from their Roman Catholic background (whose origins derive from Portuguese colonists, thus the family’s last name). 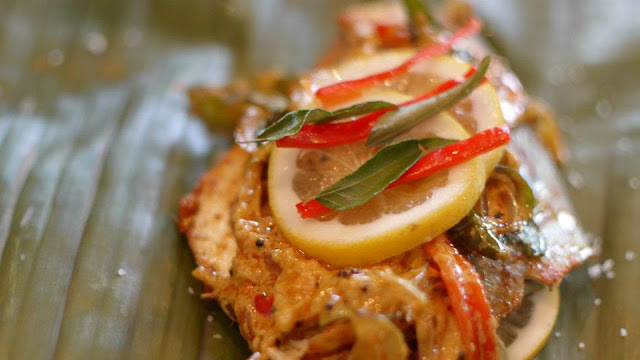 The heritage doesn’t forbid any seafood or meat in the diet—slow-simmered beef curries, fish from nearby waters roasted in banana leaves, shrimp cooked in fresh coconut milk, and garlicky pork vindaloo tinged with vinegar are common specialties." 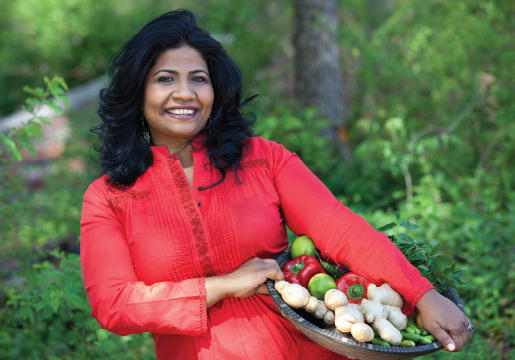 Asha brings all the magic of Kerala to Cardamom Hill. Make a reservation and give it a try. 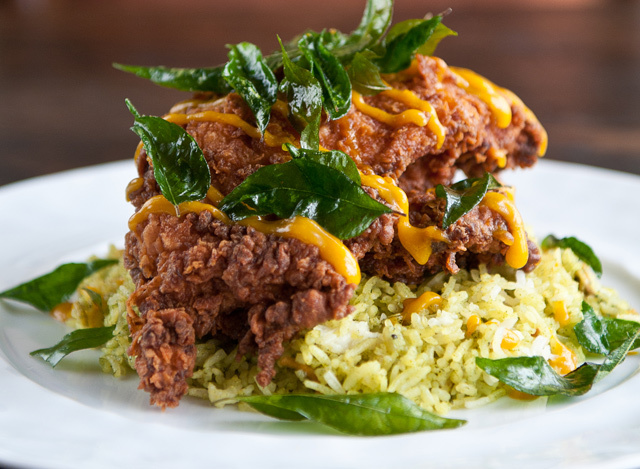 Have the Kerala Fried Chicken, which is becoming legend. Spice and Citrus rule the palette at Cardamom Hill. Celebrate Diwali with some Kerala magic. Kerala Fried Chicken. Its legend is growing around the ATL. Here's the full menu below. Avial (potatoes, carrots, green beans, and green plantains in a grated coconut sauce), beet pachadi (a creamy yogurt dish), sambhar (lentils with okra, eggplant, and tomato, served over vegetable pilau. A dish as beloved in South India as in the American South, served over vegetable pilau. Seasonal fish fillet simmered in curry flavored with kodampulli, a special Kerala ingredient also known as Malabar smoked tamarind: served over rice with vegetable thoran (coconut-flecked stir fry). Tender ribs in a smooth roasted coconut sauce over upma, a polenta-like dish made from semolina. Fresh local vegetables simmered in spiced basmati rice and served with an array of traditional accompaniments. First: Breakfast at home. Make an Indian Breakfast. Actually, maybe a little fusion. A while back we recommended a Dahl omelet. Either prepare your own Dahl, or get some from a place like Planet Bombay - see below. Make a Julia Child inspired omelet and stuff it with Dahl. Pair it up with some Chai. Makes a wonderful breakfast. $10 for ingredients. Second: Take in a read. Go to Dr. Bombay's Underwater Tea Party over in Candler Park. This is Katrell Christie's place. A tea house she always dreamed of having. It's homey. It's neighborhood. It's jam packed with book shelves covered with books donated by the Candler Park community. Donate 50 cents per book. It all goes to Mary Lin elementary school around the corner. Have a cup of darjeeling, pick a couch, and enjoy. $5 for tea and $1 for a book. BTW, Katrell founded a group called the Learning Tea, which raises funds to run an house in India where orphaned girls make their home and pursue their education. We covered the monthly dinners the Learning Tea hosts to support the project a while back. Check it out. Third: Lunch. Planet Bombay is tucked into Moreland Avenue in Little 5 Points. They bring all the flavors you're hoping for. Garlic Naan. Dahl. The tandoori chicken is great. Try the Ox-tail lunch, or the goat if you're feeling adventurous. It's all good baby. ($10 per person). Fourth: Nap time. A little relaxation will do you well. Finally: Cardamom Hill. Celebrate Diwali in style! $50 per person.